Photos courtesy of Judy Heilman, Chuitna Citizens Coalition. Wetlands, seen above, dot the Beluga Gas Fields area, planned to be part of the proposed Chuitna coal mine. Judy and Lawrence Heilman, of Beluga, have gotten used to feeling ignored in their fight to stop PacRim Coal’s Chuitna mine project, the proposed strip mine that could cover about 30 square miles in the Beluga Coal Fields near the communities of Tyonek and Beluga. 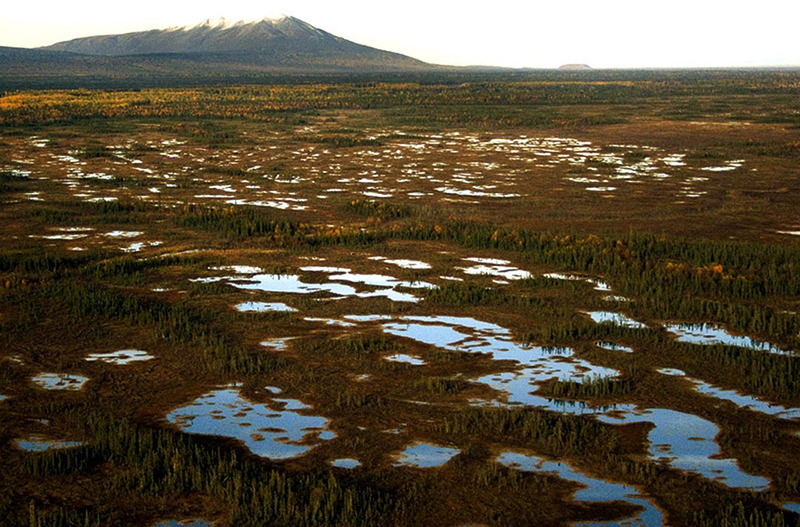 The proposed Pebble Mine, with its better-funded opposition, has garnered more attention and oppositional support, while it seems the Chuitna Mine project has barely registered on even other environmental groups’ radar, much less the consciousness of the rest of the state, Judy Heilman said. Much of their five-year battle has felt like shouting into the wind. But on Jan. 19, those winds shifted, and the Heilmans heard a big response to their calls. About 150 people showed up at a public hearing in Kenai held by the Department of Natural Resources to gather feedback on a petition to designate certain lands within the Chuitna project area as unsuitable for coal mining. The position was filed by Trustees for Alaska on behalf of Cook Inletkeeper and the Chuitna Citizens Coalition, of which Judy is president. People drove through a snowstorm from Anchorage, communities in the Matanuska-Susitna Borough and other areas of the peninsula. They flew over Cook Inlet from Beluga, tried to fly from Tyonek — weather kept some planes grounded — and people came out from their homes in the central peninsula area. Of the 130-plus people who gave public testimony at the meeting, only one spoke in favor of the mine. All others spoke in favor of the petition, which seeks to have salmon streams and habitat within the Chuit River watershed protected from surface coal mining. 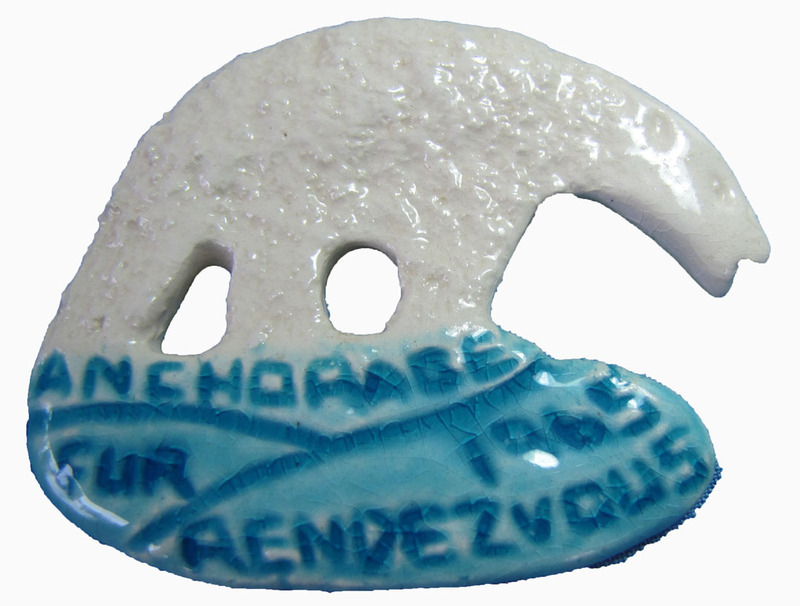 Editor’s note: This is the second of a two-part story about a collection of Alaska memorabilia. 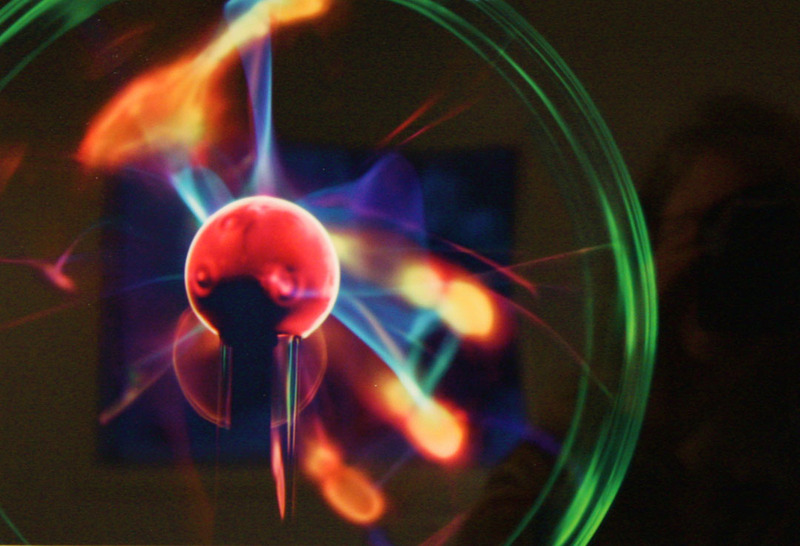 Last week’s story discussed the collection’s recent re-emergence. This week’s story reveals how the collection came to be and its probable fate. 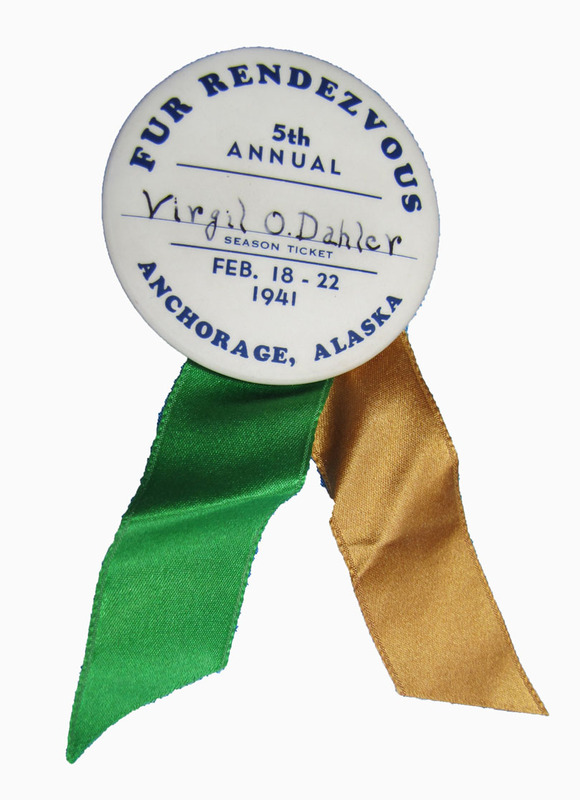 When Anchorage resident Virgil O. Dahler handprinted his name above the thin horizontal line in the center of his white Fur Rendezvous badge in February 1941, he could hardly have imagined the commotion that badge would cause nearly 70 years later. The badge — a metal disk with a sharp pin affixed to its back so that it could be attached to a Rondy-goer’s winter coat — served then as a season ticket to all the Rondy events occurring between Feb. 18 and 22. That season ticket is now referred to as a collector’s pin, and the 1941 pin is one of the rarest distributed in Fur Rondy history. Dahler, who was only 22 years old in 1941, may have enjoyed the Rondy festivities that season, but he likely had little time to dwell on the significance of a celebration that was then in only its fifth year. Since arriving in Alaska in 1939 — coincidentally the first year Rondy pins were issued — Dahler had been working on the Alaska Railroad and helping build Elmendorf Air Force Base. With boyhood buddy, “Big Jim” Bergsrud, he had ventured north just for the summer, but the two stayed on long after snow flew. In fact, the only thing that caused them to leave Alaska was the bombing of Pearl Harbor on Dec. 7, 1941. Shortly after the United States declared war on the Empire of Japan, Dahler and Bergsrud enlisted in the U.S. Army at Fort Richardson. Dahler served in the Battle of Iwo Jima and in the Aleutians at Attu, and after his discharge in 1946, he and Bergsrud returned to Alaska and decided to homestead on the Kenai Peninsula. Photos courtesy of Paul Gray, Exploring Alaska. The Nanwalek community’s annual Alaska Native Russian program, held Jan. 14, is a celebration of renewal. Performers present the new year and 12 new months, with an old year and three old months trying to sneak back into the performance. When it comes to celebrations, the cultural traditions of Alaska Natives are as interesting as they are elaborate. 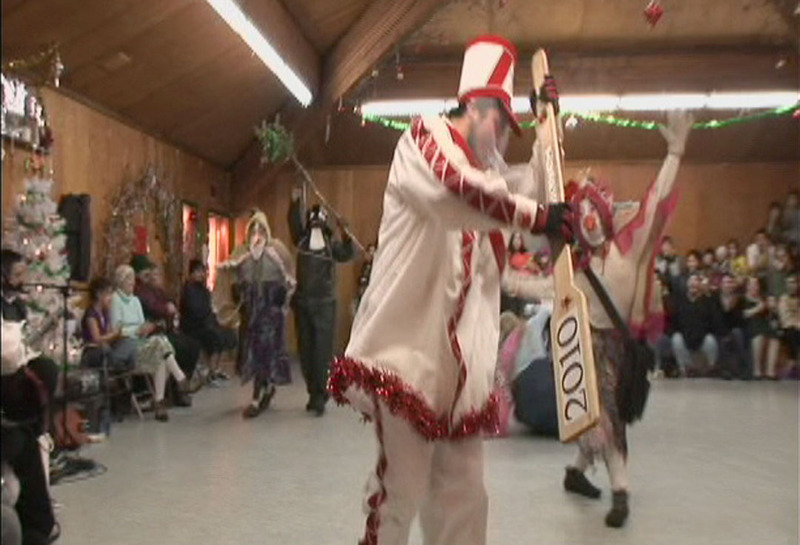 At no time is this more apparent than during New Year’s celebrations in Nanwalek, which is why videographer Paul Gray has chosen to focus on these festivities for his newest show in the “Exploring Alaska” series. Ben Franklin once said, “An ounce of prevention is worth a pound of cure.” Building on that idea, the Kenai Peninsula Food Bank is hoping people will shed a few pounds to give them a financial boost as part of the Pound For Pound Challenge. “With the holidays behind us, it’s the time of year where we’re experiencing a shortage of donations, so this could really help out,” said Holly Flynn, an AmeriCorps member performing her service hours at the food bank. The challenge stems from the popularity of the television show “The Biggest Loser,” in which overweight contestants attempt to lose weight to compete for a cash prize. The Pound For Pound Challenge encourages people to go online and pledge to lose weight to help feed people locally. Individuals and groups are welcome to participate. Teams formed may consist of family members, friends or groups of employees. People can also participate by pledging to maintain a healthy weight, which earns a 5-pound grocery donation to the local food bank. At the time they’re released and for an intense, all-over-the-media, everybody’s-talking-about-it period, it seems the “it” books are the only ones worth reading. They fly off shelves in bookstores and barely get checked in at libraries before being handed off to the next person on double-digit-deep wait lists, so readers can see for themselves what all the buzz is about. And then, well, it’s time to check out other things — like new releases from perennial favorite authors, or classics that never seem to lose their popularity — and the once once-hyped hot titles start to gather dust, especially when the frenzy starts anew over the next big thing. In 2010, “The Girl Who Kicked the Hornet’s Nest,” the third fiction novel in Stieg Larsson’s “Millennium Trilogy,” was at the top of most nationwide best-seller lists. It also was the first most-popular book of 2010 to come to mind for Terry Burdick, head librarian at the Joyce C. Carver Memorial Library in Soldotna. The book has had a wait list of people wanting to check it out since it was released in May. “Catch the Storm” by Jessica Gonzalez is one of the Kenai Peninsula College art student pieces on display at the Kenai Fine Arts Center in January. A number of students at Kenai Peninsula College’s Kenai River Campus pulled together an exhibit at the Kenai Fine Arts Center this month. Light on sculpture and heavy on photography, it offers a bit of the drawing/painting I’m generally pleased to come across. Bears wander through our yard on a regular basis in the fall, so we don’t fill our bird feeders until we are sure the bears have chosen a den and are comfortably snoozing. When the many feeders do get filled, we enjoy watching the constant change of birds coming and going around the various food sources. Some only visit the suet cakes, while others devour the sunflower seeds we offer. Others seem to be happy with whatever is available. If you watch for a while, there is a distinct hierarchy of which species feeds first, while others wait their turn. It is not surprising to note that within a given species, some individuals are more aggressive and successfully chase their relatives away from the food source.